It has been over a decade since publication of the book Bungalow Kitchens, by Jane Powell and Linda Svendsen. The book explained that original kitchens of the period were generally hidden away, on the small side, utilitarian and “sanitary” with white tile and painted cabinets. It also included photos of the kitchen cabinets in the Gamble House by Greene & Greene, and a few new butlers’ pantries and fine built-ins. Many bungalow owners took to heart the advice to keep it simple. 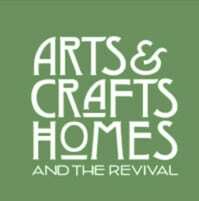 Others, particularly owners of new houses of the Arts & Crafts Revival, have chosen to treat the kitchen as the family-centered room it has become. These revival kitchens are outfitted with the same care as public rooms, featuring hardwoods, art tile, and beautiful lighting fixtures. It makes sense; only the re-enactors out there really want a truly historic kitchen, though most of us are meticulous in re-creating the parlor and dining room and library. 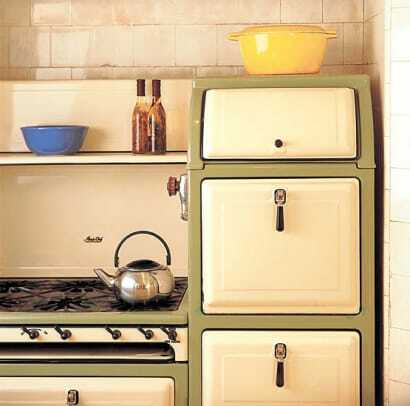 We want “a vintage kitchen,” but we’d be traumatized by ice deliveries and a coal stove. Here’s a crisp interpretation of the era’s white kitchens in an Oregon Foursquare; the banquette was built from original wainscot. Photo by William Wright. Today’s period kitchens may be Literal or Interpretive. The former camp tries to conceal as much 21st-century technology as possible. The Interpretive approach openly acknowledges the presence of microwave oven and dishwasher, within a room that incorporates period materials and detailing. There’s a fair amount of crossover, as when the owner installs a modern cook-top in a granite counter, yet wishes to diminish the impact of a looming refrigerator by hiding it behind doors that match cabinets. 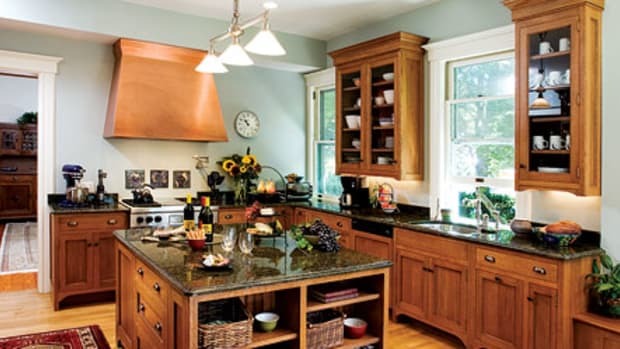 Dark stone is often used in today’s revival kitchens; here it is paired not with white tile and cabinets, but rather with natural-finish woodwork reminiscent of California architects Greene & Greene. Photo by Carolyn Bates. 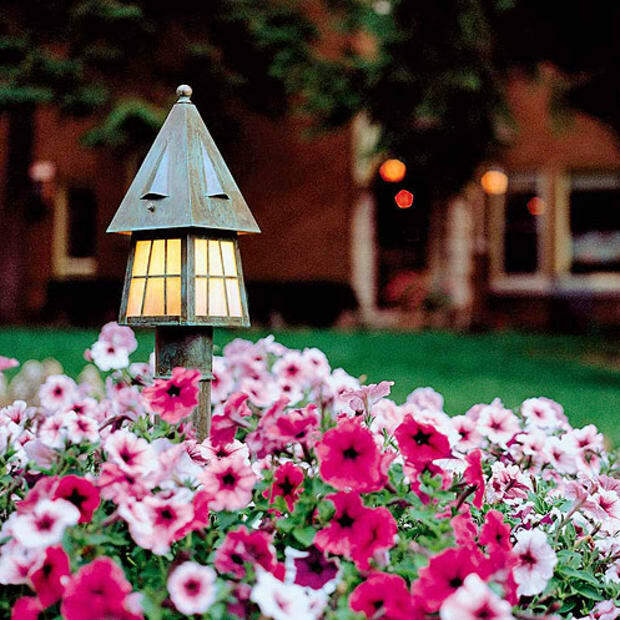 Since these houses were new, nothing has evolved as much as electric lighting. No longer are kitchens illuminated by a solitary ceiling fixture. 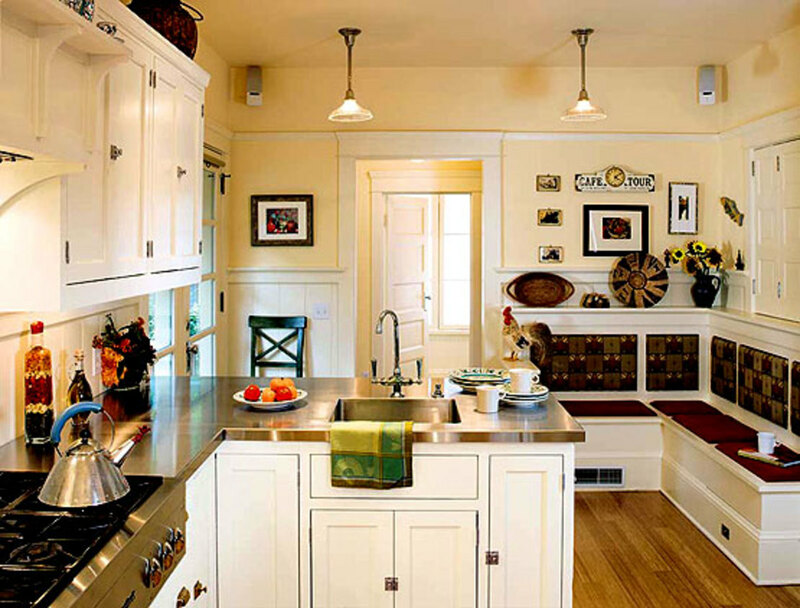 In today’s kitchen, in fact, fixtures are there mostly for ambiance: general illumination and a period-inspired look. Task lighting, hidden and indirect, is ubiquitous. Innovations such as under-cabinet strips, mono-points, and LEDs allow us to brightly illuminate work surfaces with no visual impact on the room. In lieu of recessed bulbs or track lighting, hidden up-lighting from the cornice bounces light off the ceiling for an overall glow. Following closely behind, manufacturers of kitchen appliances are busy accommodating customers two ways: by producing goods with nostalgic styling, or by making appliances that hide or blend in with the period room. 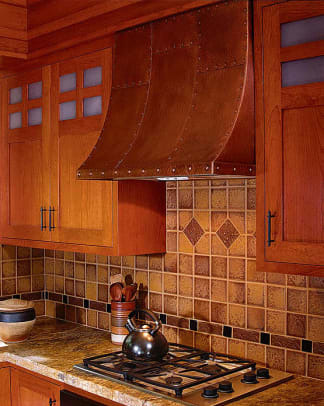 For those who don’t choose a refurbished (or reproduction) stove, cooktops separated from ovens allow flexibility and the look of built-in furniture. The kitchen sink functions as it did a century ago, although its location is more prominent now that the homeowner (not a servant) toils in front of it. Currently the apron-front “farm sink” is popular, an allusion to the old one-piece porcelain sinks of the past. 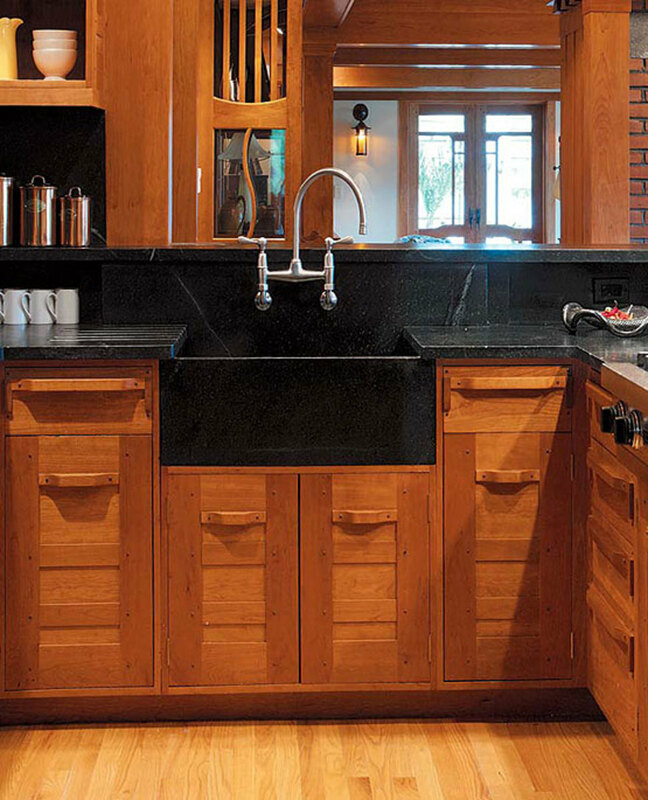 Stone sinks are popular, too, integrated into the countertop. Copper sinks and wood countertops offer a historical appeal. The porcelain (or stainless) drop-in sink continues to be a more affordable alternative. 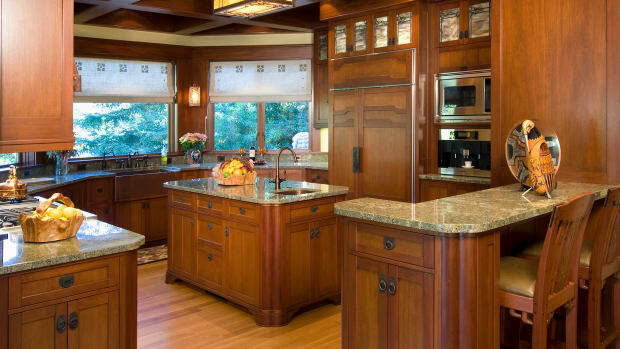 As kitchens have lunged from the back door to the forefront, cabinetwork has risen in quality. 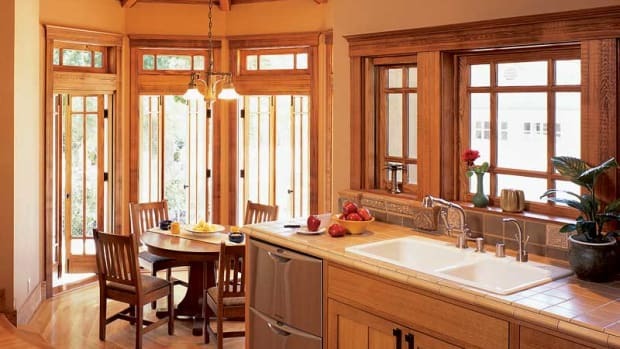 Instead of paint-grade softwood (the more Literal choice in so many cases), cabinets are based on fancy butler’s pantries and built-ins, an Interpretive approach for kitchens. Revival kitchens are built of cherry or the iconic quarter-sawn white oak. Cabinet doors are an artful focal point, with leaded or slag-glass fronts, even back-lighting to highlight collectibles within. 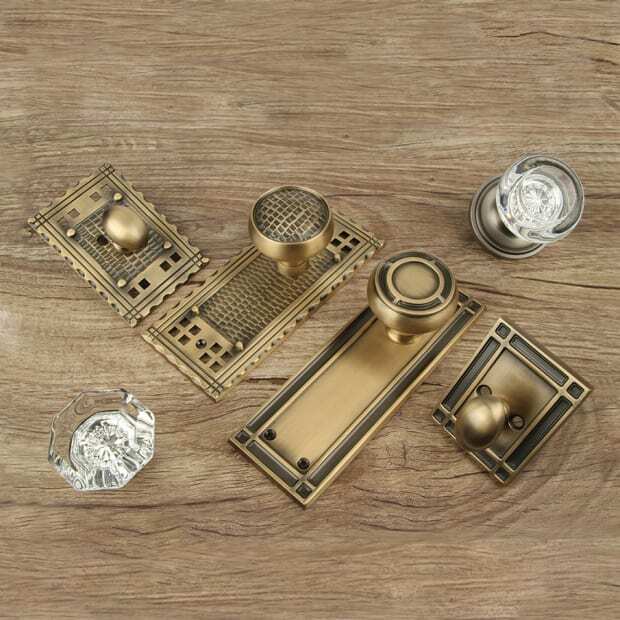 Hinges and pulls are cast reproductions—available, amazingly enough, from major manufacturers and retailers, not just from the fine reproductions market. Before the kitchen became the Most Important Room and historical styles got popular, old-house dwellers had very few options for renovation. 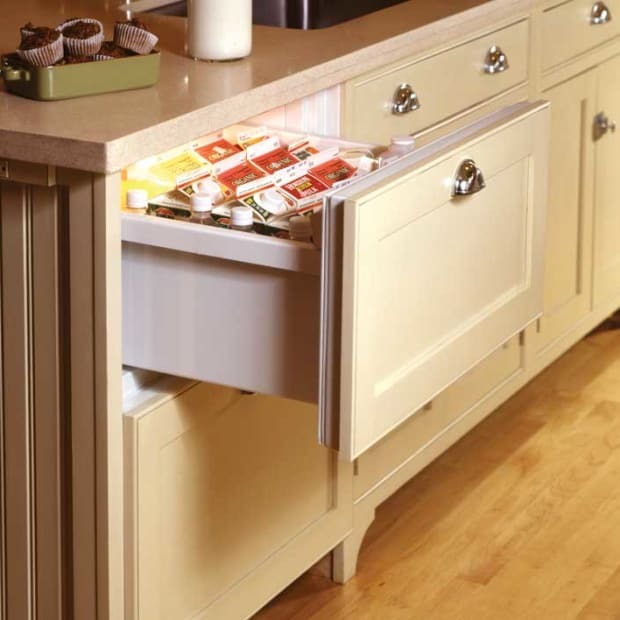 Most made do by adapting available materials, cabinet designs, and appliances, with lots of compromise. Now we have many good options, whether we choose to re-create a room that looks like an original, or bring the finer aspects of Arts & Crafts influence into a modern kitchen.